If you could analyse patterns of searches, it might lead you to identify the emergent knowledge topics, the knowledge gaps, and the "hot potatoes" in your organisation, your community, or in society. 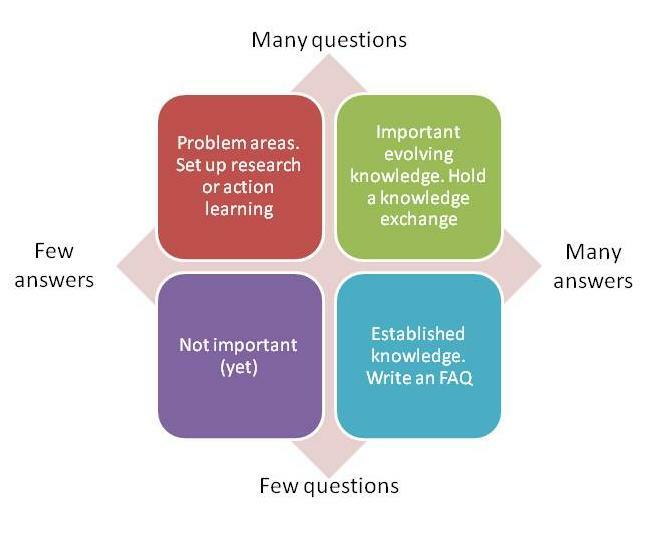 We tried just this approach of analysing questions within a big community of practice recently. The queries to the community forum were already characterised into topics, because when you ask a question using the forum software, you have to choose which topic it is related to. So that saved us having to assign categories.